SEOUL, South Korea — North Korean leader Kim Jong Un observed the successful test of “a newly developed ultramodern tactical weapon,” the nation’s state media reported Friday, though it didn’t describe what sort of weapon it was. It didn’t appear to be a nuclear or missile-related test, a string of which last year had many fearing war before the North turned to engagement and diplomacy early this year. Still, any mention of weapons testing could influence the direction of currently stalled diplomacy between Washington and Pyongyang that’s meant to rid the North of its nuclear weapons. 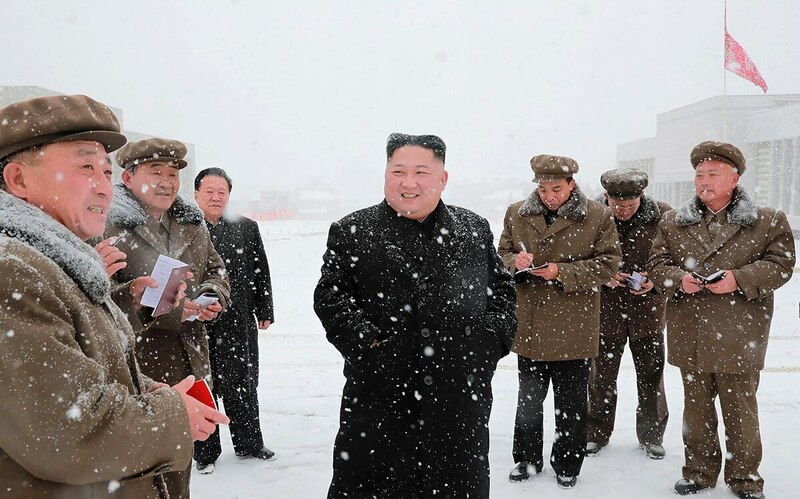 The North hasn’t publicly tested any weapons since November of last year, but in recent days Pyongyang reportedly expressed anger at South Korea’s resumption of small-scale military drills with the United States, and Friday’s announcement could be in response to those drills. Even if the test was a message for Washington and Seoul, Friday's report from the North was noticeably less belligerent than past announcements of weapons tests, and didn't focus on North Korean claims of U.S. and South Korean hostility. Diplomacy has stalled since a June summit between President Donald Trump and Kim in Singapore, with Washington pushing for more action on nuclear disarmament and the North insisting that the U.S. first approve a peace declaration formally ending the Korean War. Trump and Kim are both interested in another summit, but it’s unclear when it might happen.